Scottsdale, AZ – November 7, 2016, Scottsdale-based, Polylast Systems announced today, that it has installed the company’s SurfaceGuard™ with Microban® Antimicrobial flooring at the USDA National Animal Disease Center in Ames, IA. The Iowa location provides research, diagnosis, product evaluation, and conducts basic and applied research on selected diseases of economic importance to U.S. livestock and poultry industries. Their focus is to reduce or eliminate pre-harvest contamination or infection with food-borne human pathogens and to prevent suffering and death caused by diseases in agriculturally important livestock and poultry. In late 2015, Polylast Systems partnered with Microban®, the global leader in antimicrobial technology, to create an antimicrobial solution for its flooring systems. The patented process, seamless, 100% recycled rubberized flooring and surface coverings provide safety and comfort for animals and humans alike. Microban® antimicrobial technology is infused into, and throughout the patented Polylast system during the manufacturing and installation process, and is guaranteed to last the lifetime of the product. The revolutionary technology helps prevent the growth of damaging microorganisms and pathogens such as bacteria, mold and mildew, while keeping floors cleaner longer and reducing odors and stains. 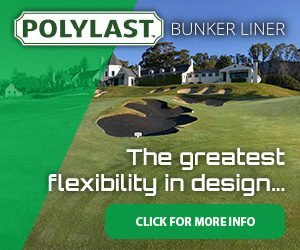 Director of Business Development, Scott Gibson, said “In addition to livestock and pet surfacing systems, Polylast provides superior surface solutions for restaurant kitchens, golf courses, boat decks and anywhere bacteria, mold, and mildew resistance is of tremendous value. 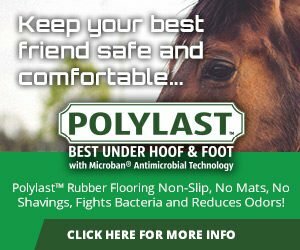 The company’s website is www.PolylastSystems.com and to learn more about how antimicrobial product protection works, visit www.Microban.com.